The most famous examples of APCs are the BTR-70 and BTR-80, the "Tiger" family of multi-purpose vehicles and BMM medical machines. 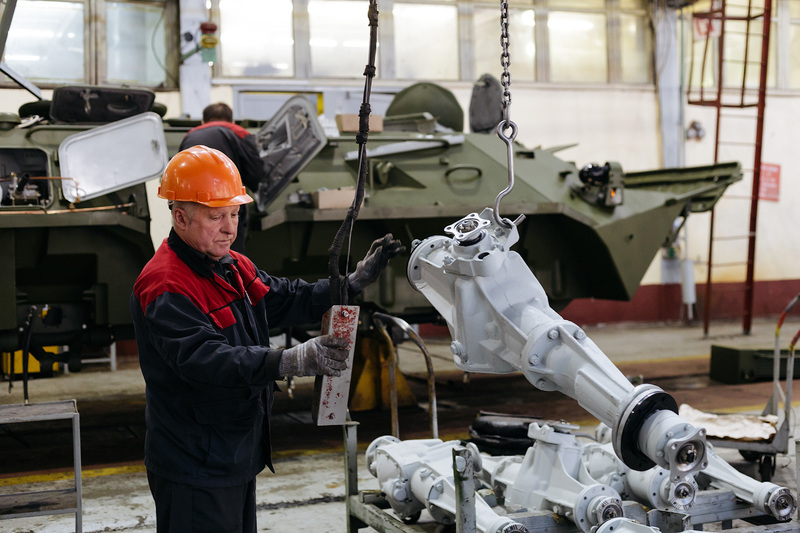 Photos taken at the Arzamas machine-building plant. 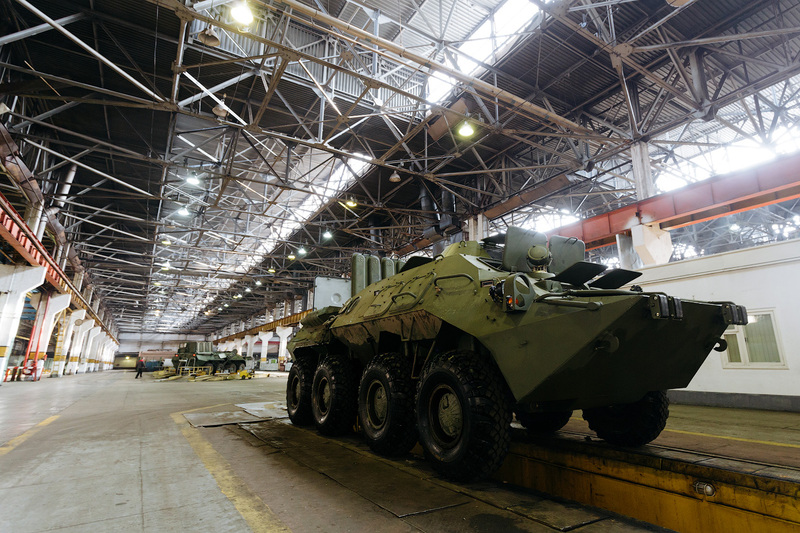 The BTR-80 is an 8x8 wheeled amphibious armored personnel carrier (APC) designed in the USSR. 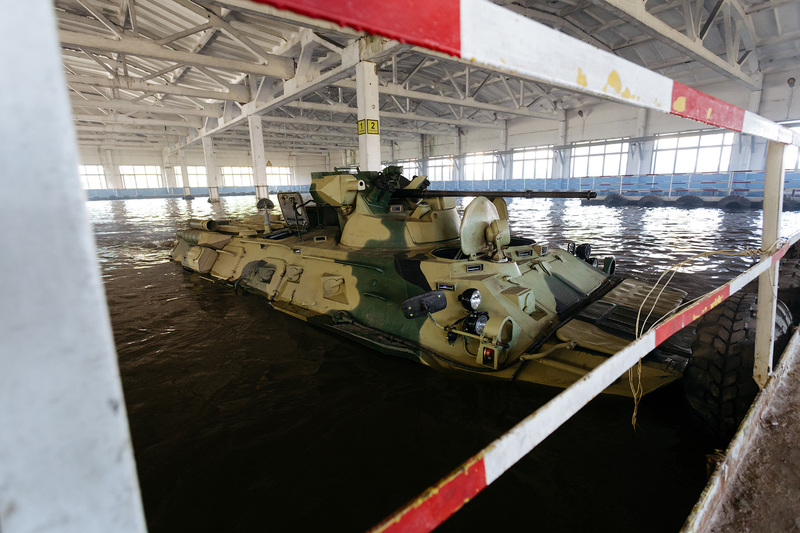 It was adopted by the Soviet Army in 1986, replacing its predecessor vehicles, the BTR-60 and BTR-70. 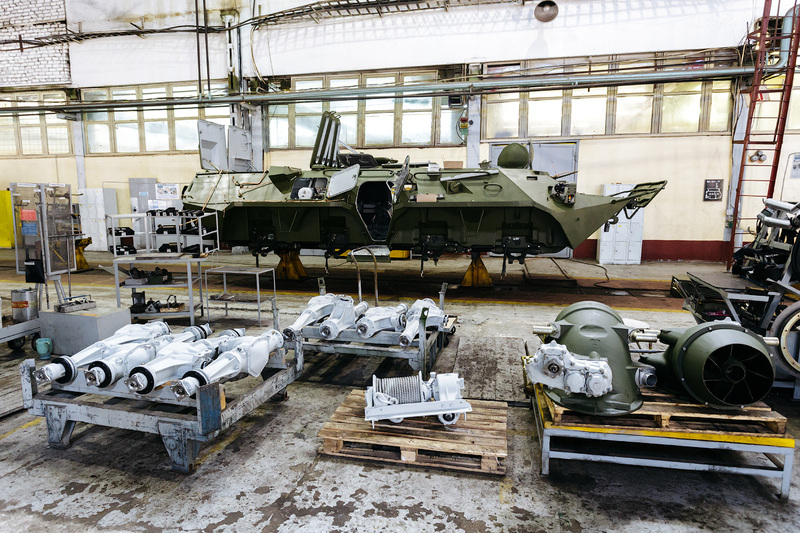 BTR-82 APCs are brand new vehicle produced at the Arzamas machine-building plant. They were adopted by the Russian Armed Forces in 2013. 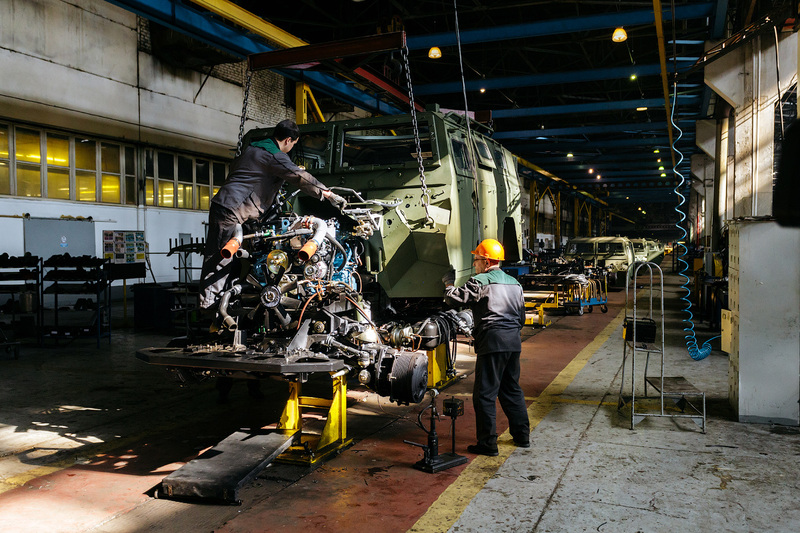 The assembly line can accommodate 21 vehicles simultaneously, each gradually undergoing all stages of construction. One BTR machine takes 5 working days to completely assemble. 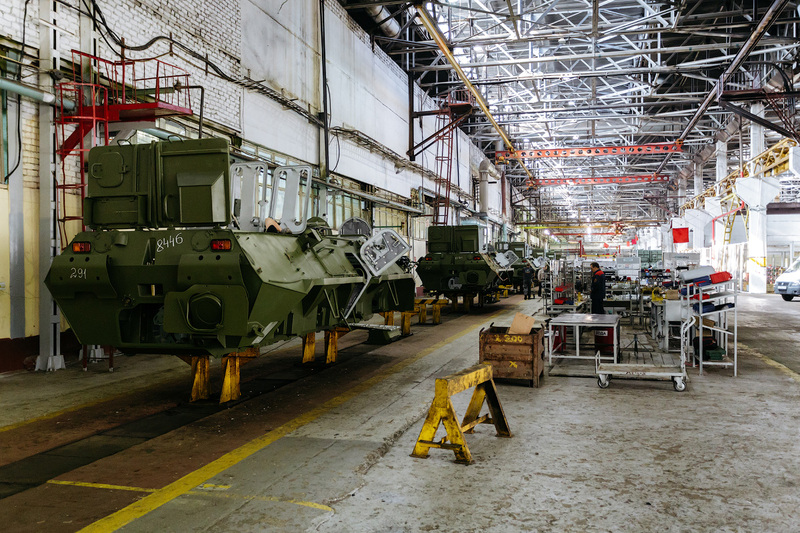 The assembly line process begins with the BTR’s armored base frame or chassis. 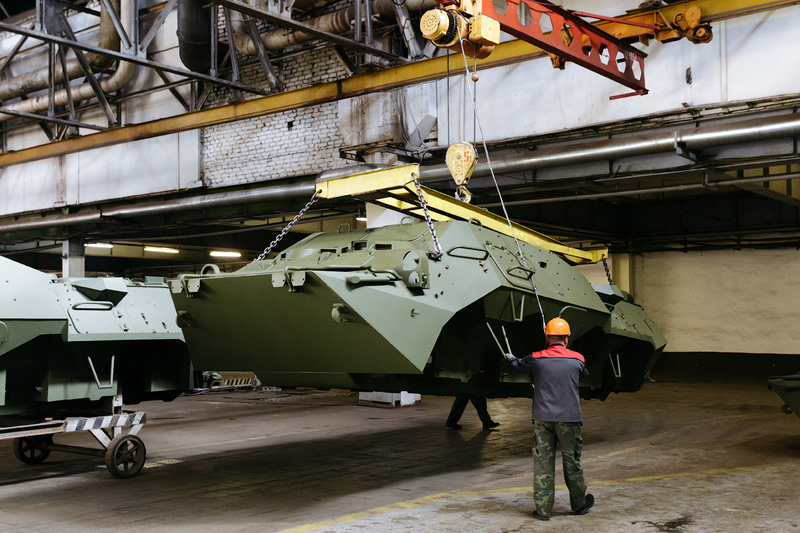 The armor weighs 4-6 tons and is welded and painted at plant in Vyksa. The armored chassis is nicknamed the "gondola". 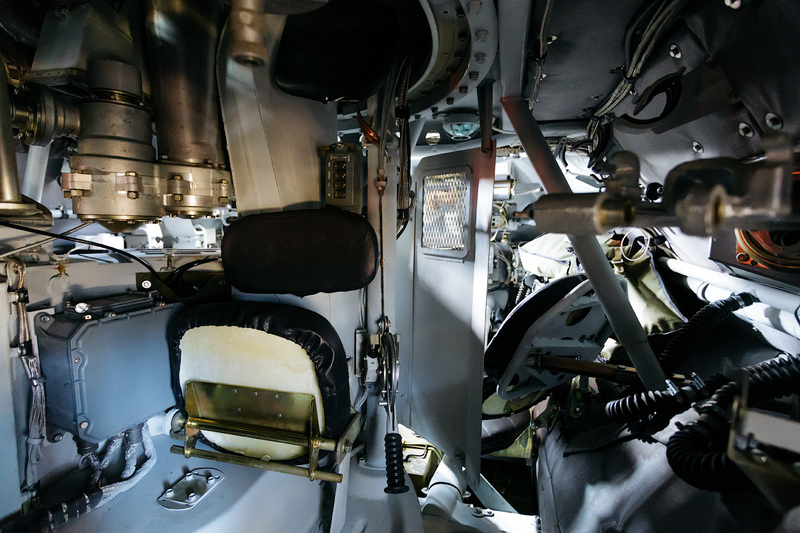 During the first step all wires are laid out inside the armored carrier. Next the drive axles are installed. 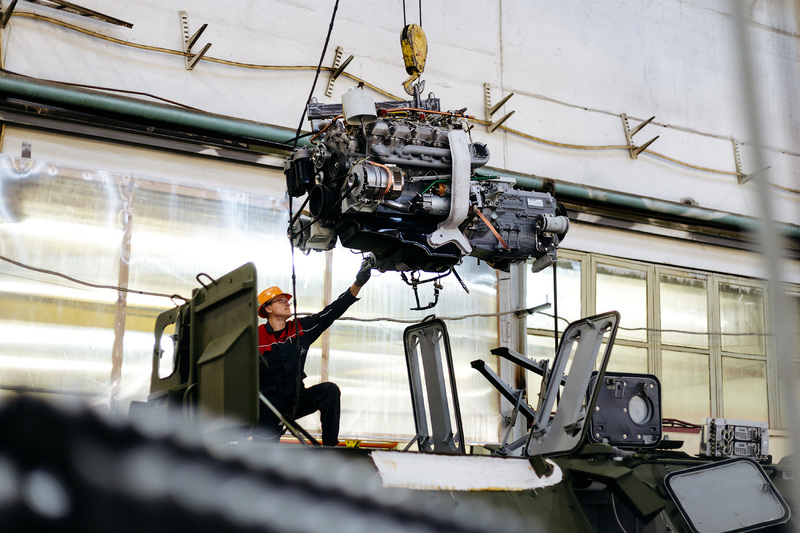 The BTR-82 is powered by a new KamAZ 740.14-300 4-stroke turbocharged diesel engine with a V-shaped cylinder, generating 300 hp. Final assembly at the “debugging” workshop. This is where the electronic and armament systems are installed. The pool is part of the testing process. The BTR maneuvers around pillars, and is then left submerged for a long time. 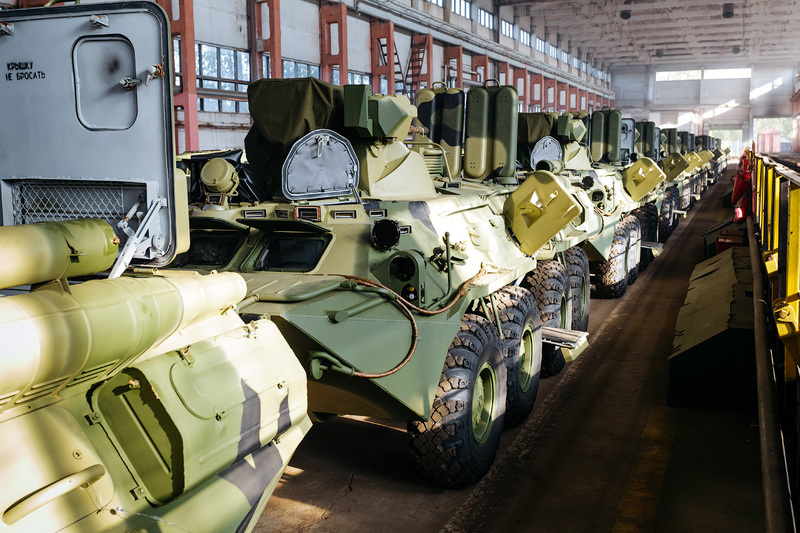 Russian APCs and "Tiger" armored cars feature heavily in the armies and security services of Algeria, Hungary, China, Congo, Indonesia, Sudan, Djibouti, Vietnam, Sri Lanka, Uzbekistan, Kazakhstan, Azerbaijan, Armenia, Uruguay, Colombia, Venezuela, etc. 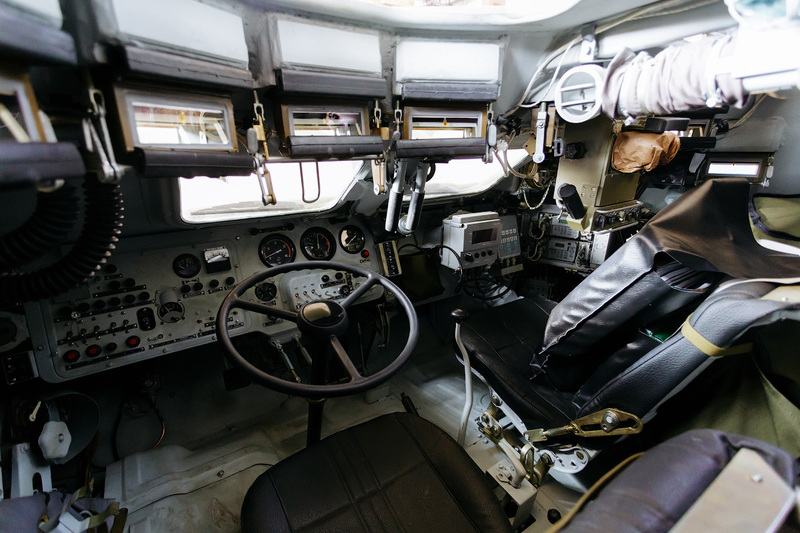 The vehicle's interior space is used very efficiently. It can transport up to 10 fully equipped soldiers.